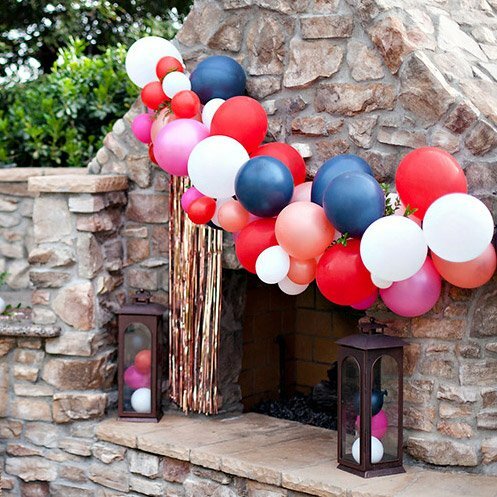 Suzanne of Fanciful Events did a fabulous job with these Seersucker Bow Inspired 4th of July Party Ideas for the upcoming holiday (and yes, it is less than 2 weeks away)! 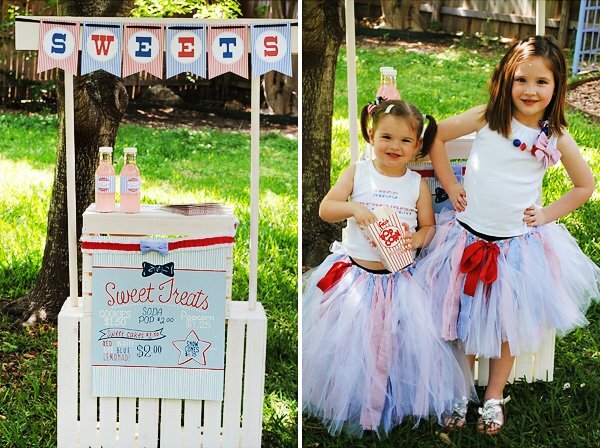 So, let the inspiration begin: pinstripe decor, seersucker bows, patriotic desserts and super cute little girls in tutus! 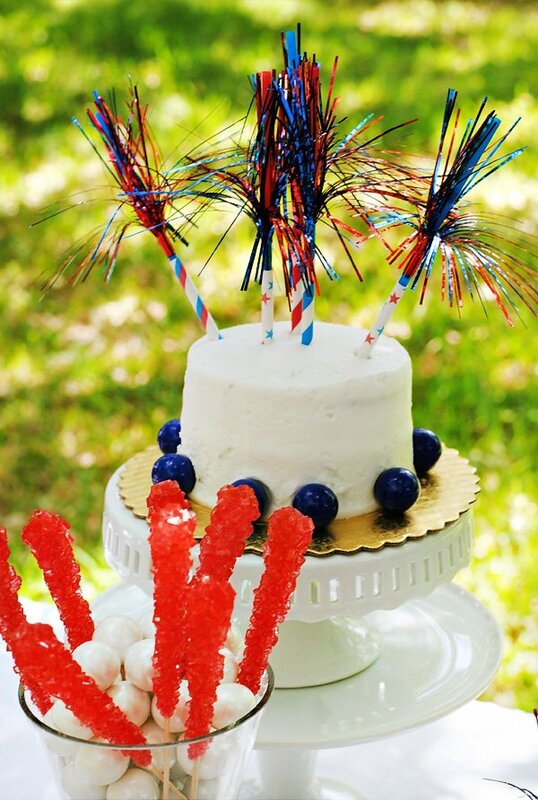 I have always had a love for red, white, and blue….maybe it’s because my birthday is the day before and a love for seersucker! 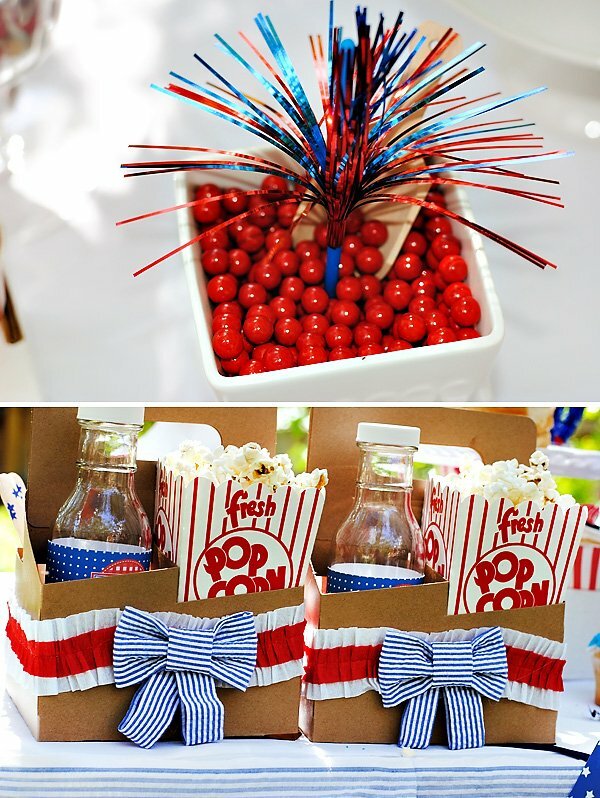 There’s nothing cuter than combining seersucker in red, white, and blue! 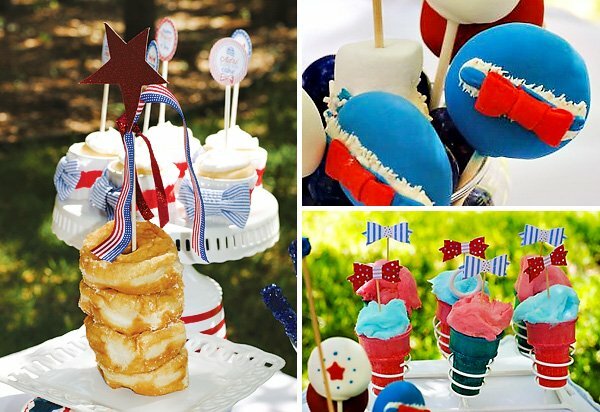 There was a dress that my oldest daughter wore when she was 8 months old that has been a favorite of my mine and that’s what spurred my idea to do a 4th of July theme using seersucker as much as I possibly could! 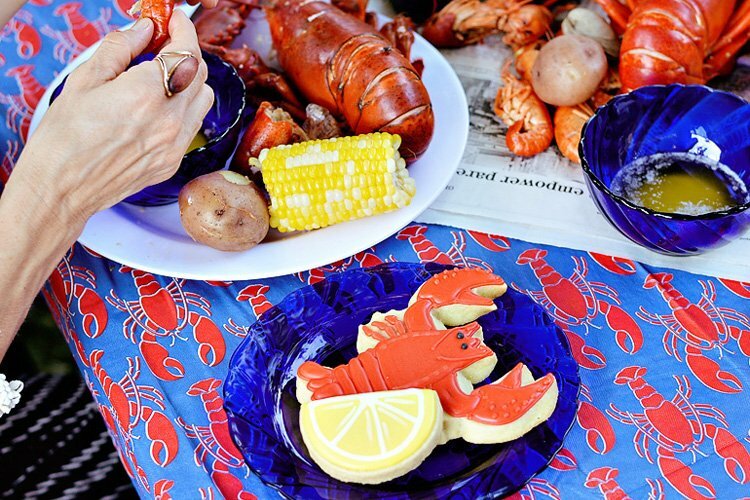 Seersucker will be the new “IN” thing when it comes to fabric and pattern and no one had done this theme idea yet! 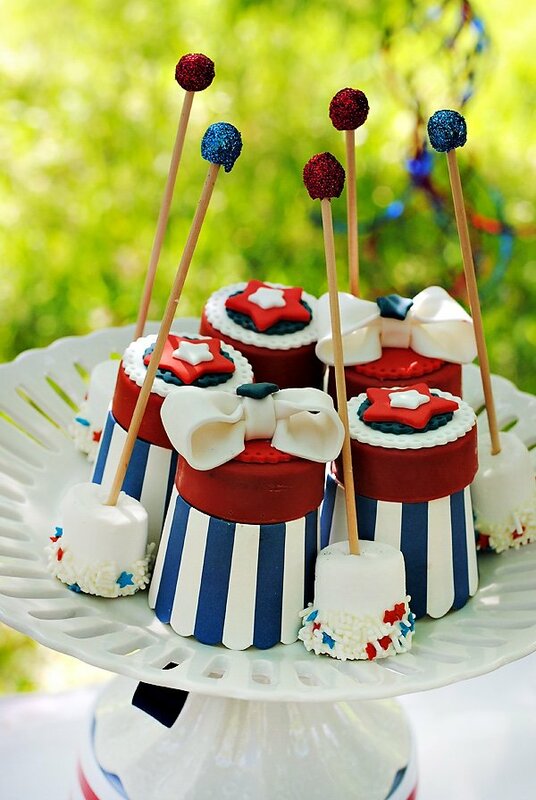 With that said, I began my quest to create a cute and “sweet” 4th of July theme for this design. 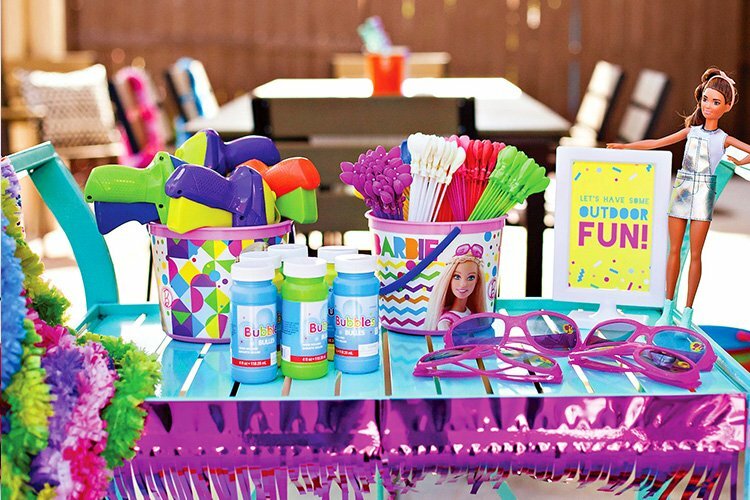 This theme turned out so cute and was so much fun putting together! 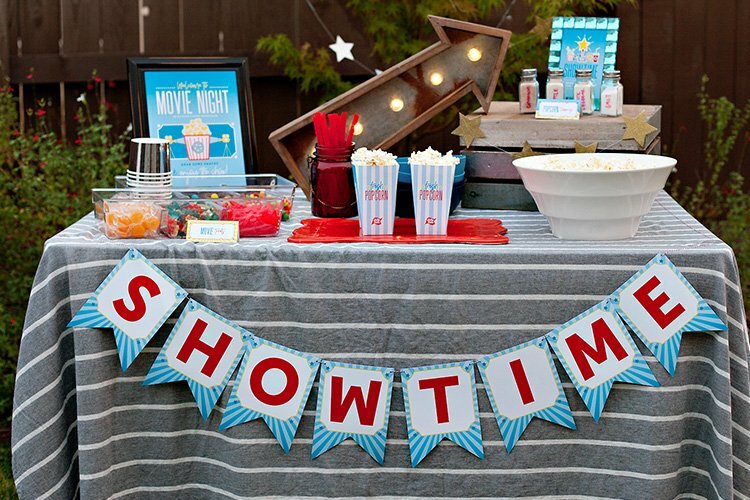 Also, see it in Everyday Baby + Child. 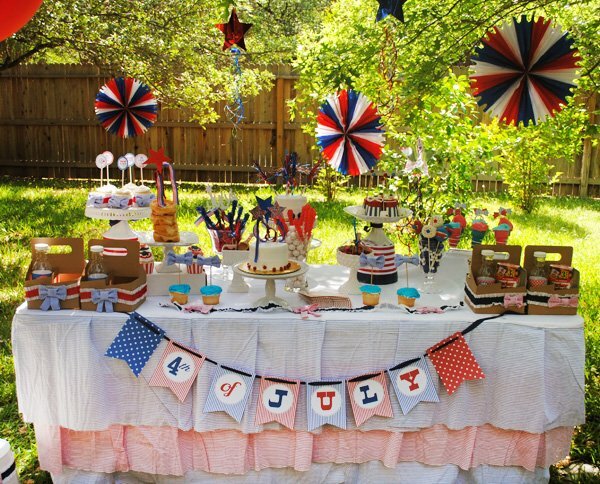 I wanted this to me a take on “America the Sweet” and have a concession stand with sweets and goodies and just make an all around fun and festive theme! 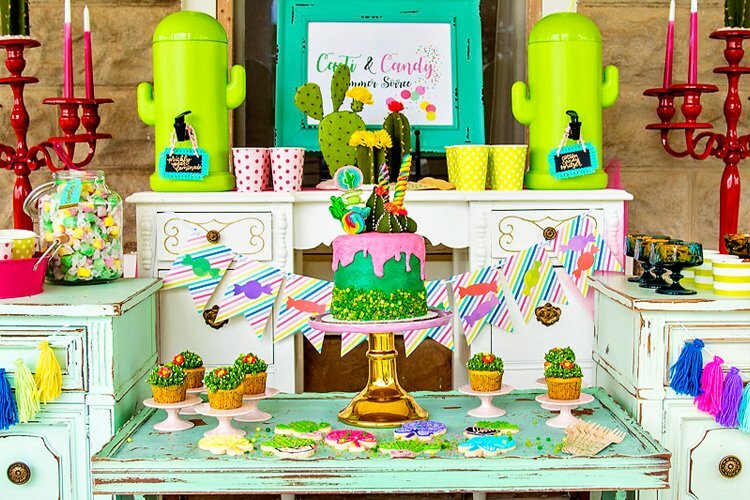 I asked Jenny from Craft that Party to make me some ruffled garlands with cute seersucker bows and bowties because I knew they would make my dessert table stand out and be really different and unique. 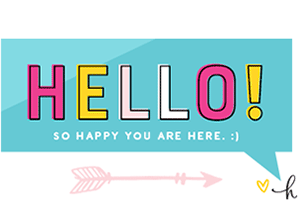 Gretchen from Three Little Monkeys Studio created the cutest banner and cupcake toppers for me to use. 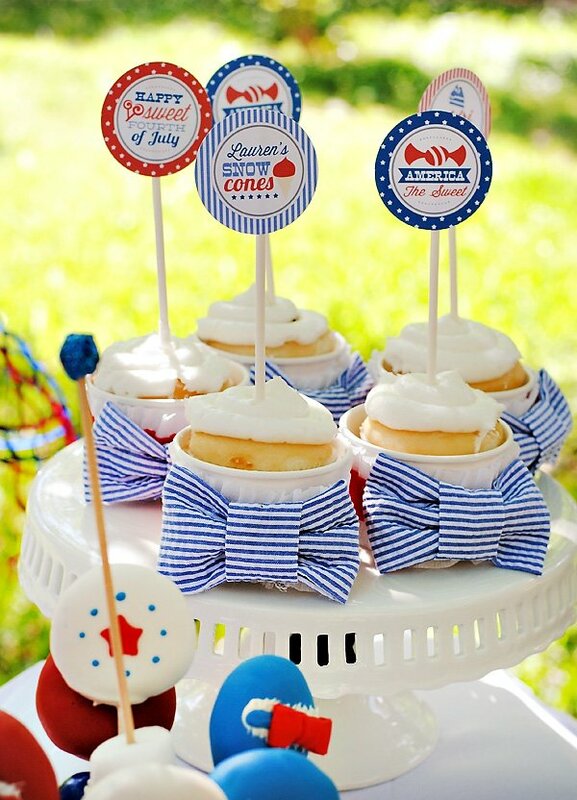 Maria from Love & Sugar Kisses made me the cutest 4th of July toppers and chocolate covered oreos! 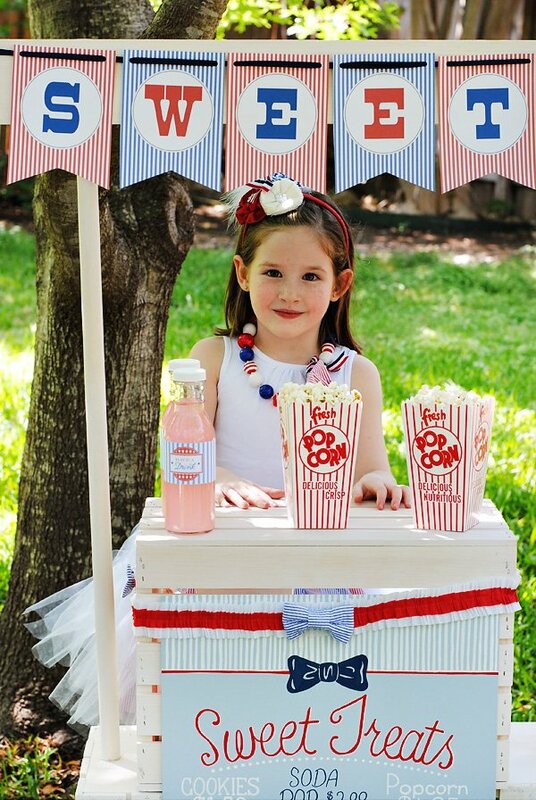 So so cute! Kim from Cake Pop My Heart made cake pops that matched the beautiful ruffled garlands Kristal from Atutudes made the cutest tutus for the girls to wear for this party! I LOVED how they they turned out.